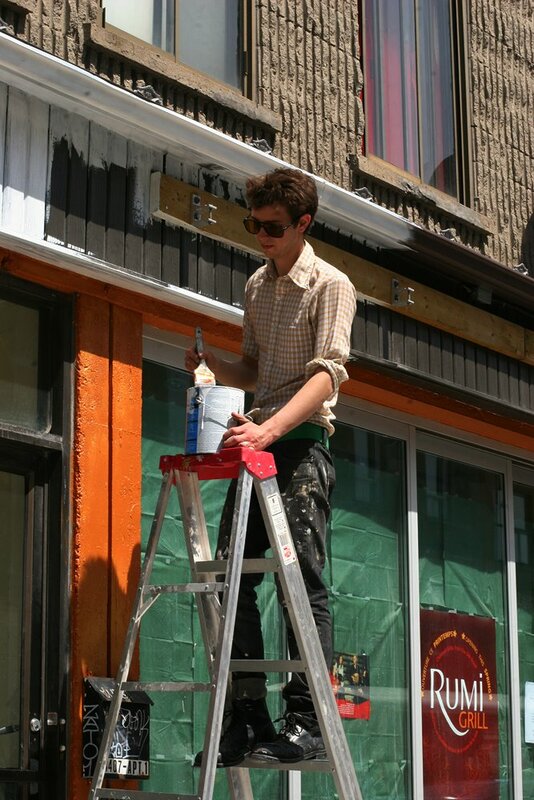 Rory is dressed a lot better than the typical painter on the job. He looks like Bob Dylan ca 1963! So cute.